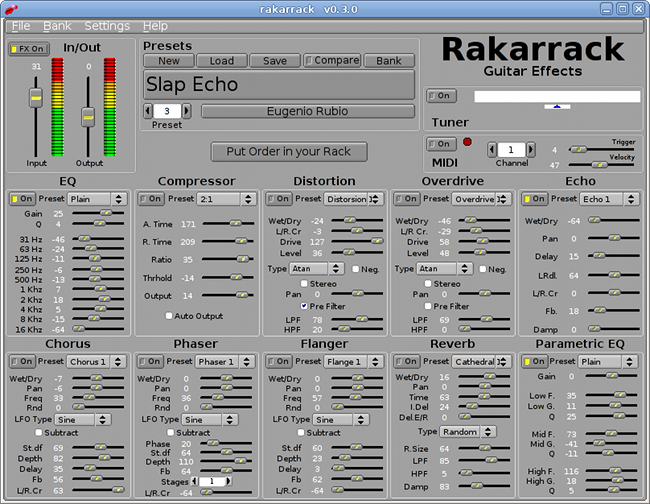 Recently, navigating the Debian repositories I found Rakarrack, an Open Source Linux program to simulate various guitar effects in real time. This sound effects are often done with expensive physical sound processors, but this application makes it all with only one cheap computer (well, I suppose that the quality will rely a lot on the sound card). Each effect is a module and and has its owns parameters which can be adjusted with sliders from the GUI. Multiple effects can be chained in different configurations. I played a lot using different presets (it has lots of pre-configured) and there are some quite good, but others does not sound as good as a physical pedal, maybe also by le low quality of my notebook sound card. It also has an integrated guitar tuner, but for this purpose I prefer Lingot from my Friend Iban Cereijo. A lot of years ago I tested Guitar Rig, a quite pretty (and expensive!) 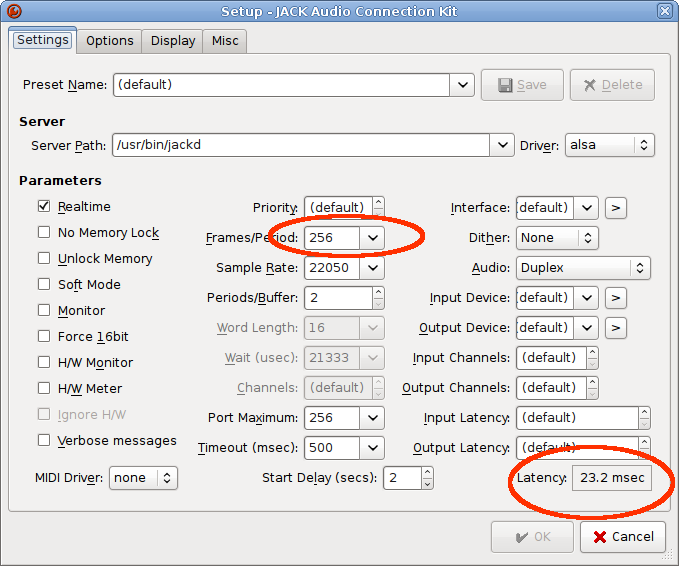 windows applicattion for the same purpose, but then the latency of the sound was too high. Rakkarrak is simpler but enough for most non-professional guitar players, and I like it a lot!